Fact! Leo Varadkar invented the border backstop after and not before or during the U.K. vote on the E.U. referendum. If not removed by the E.U. it will be seen as a deliberate provocative ploy to disrespect the British. It can only be a short time before a backlash of retaliation reverberates across the U.K. Playing a willing patsy for the comic chancers in Brussels is never clever when the intention is to upset the world’s fourth largest economy. Brokering the backstop puts the Irish in contention with the convention of non- interference in the internal affairs of the U.K. The backstop cannot be accommodated within any shared dual responsibilities written in the Belfast Agreement and it is facile to make this an issue. Michel Barnier’s penchant for prevarication masks the increasing recession concerns inside the E.U. In what Mrs. Merkel describes as a technical recession Germany is reeling from a serious investment downturn. The ‘gilets jaunes’ have had enough of Macron and his austerity economics. Italy is mired in a free fall full recession and running out of cash. The eurozone is in deep trouble. As for the Irish, their fragile banking service has led E.U. bailout inspectors to issue alarms over the Irish economy being unable to withstand a Brexit related shock. Philip Lane and Mario Draghi respectively the Governor of the Irish central bank and the head of the European central bank have expressed serious concerns over the Irish economy overheating. Yet, an emboldened Taoiseach is pushing on with punitive action against the U.K. market on upon which the Irish depend for 80% of their product sales. Despite economists emphasising that 10% of Irish mortgages are in negative equity and banks holding high levels of bad loans which are double the eurozone average, in an economical nutshell the Irish economy is simply not durable or strong enough to pick an argument it can’t win. The Taoiseach should listen and explore what is being said across the border in Northern Ireland. Assigned the role of deal makers or deal breakers in London the D.U.P. are signalling a willingness to reconsider the recently rejected Withdrawal Agreement. Apart from minor alterations in other sections they firmly stipulate that movement depends on the removal of the Irish backstop. In D.U.P. speak that is a momentous concession. Coincidently and not without significance Jacob Rees – Mogg MP has concurred with the D.U.P. position. Anyone can see that this is not an olive branch it is a fruit covered olive tree ready to be politically cultivated. Fact! The backstop can be removed from the legally binding Withdrawal Agreement by a consenting Irish government. It can be transferred for consideration in the next phase of negotiations dealing specifically with trade arrangements WHERE IT LEGITIMATELY BELONGS. I have no idea who this individual David Mc Narry is – but certainly sounds like this article is written by some fanatic. The Backstop was a British invention designed to try to allow Britain to get to the next stage in the EU-UK Brexit process.Now, the British Govt wants to renege on the very samw Withdrawal Agreement that the British Govt has already agreed with the EU. “Ah lads, can ye take out the bits we don’t like – and we’ll be grand”. Britain’s credibility both within the EU – and without – is close to zero as a reliable negotiating partner. 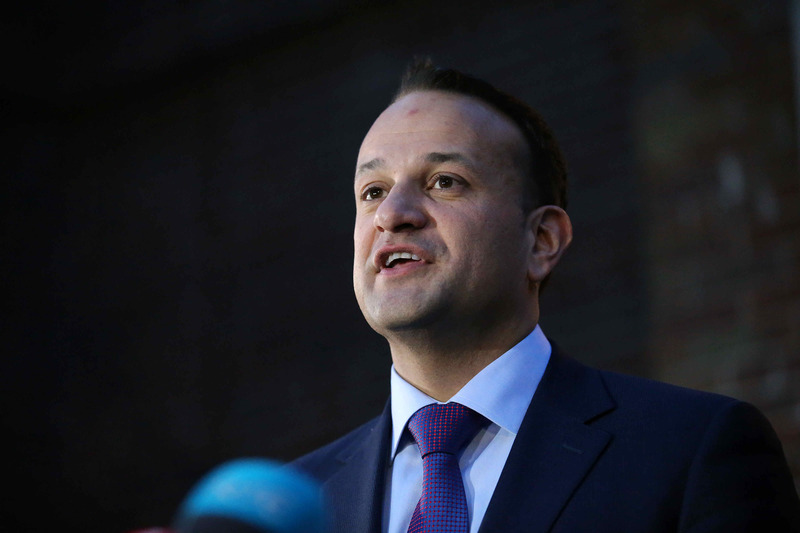 Mr Varadkar said: “They don’t exist and nobody has been able to show them to me. “People who say they’re against a hard border and also against a backstop. How does this balloon head keep getting air time on here?! Come on Eamonn Maillie, where’s the quality control?! McNarry is a man who still thinks the world was created in 7 days for crying out loud. He belongs in a museum. Lads why even bother commenting. He’s living in a bubble. This is the man who threatened during the Drumcree protest that if the Orange Order put their minds to it they could bring ‘this place’ (he may have said ‘this province’ or ‘this country’) to a standstill in order to get their way. But God love him, he’s angry because people in ‘this province’ want their vote respected. Poor Dave, I just want to give him a big hug. Nobody takes this moonbeam seriously any more. “Moonbeam” is surely a bit too kind? F^ckwit I would say.